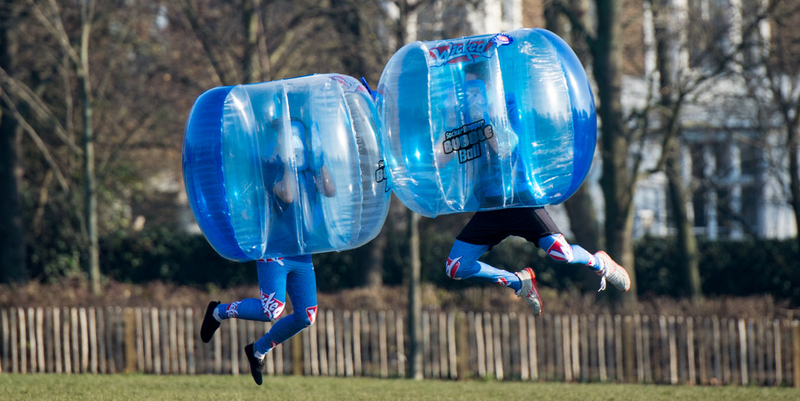 This year’s London Toy Fair saw the official launch of Wicked’s Socker Bopper Body Bubble Ball. Highlight PR worked non-stop to make the most of Press Day at the event and attract huge interest in the toy brand’s fantastically fun new offering. With coverage on ITV and BBC, the product was a huge hit and generated a lot of buzz! Bubble football is a new sport for active people aged 8 years and above. It’s fast becoming a global craze – with tricks and stunt videos going viral on social media. 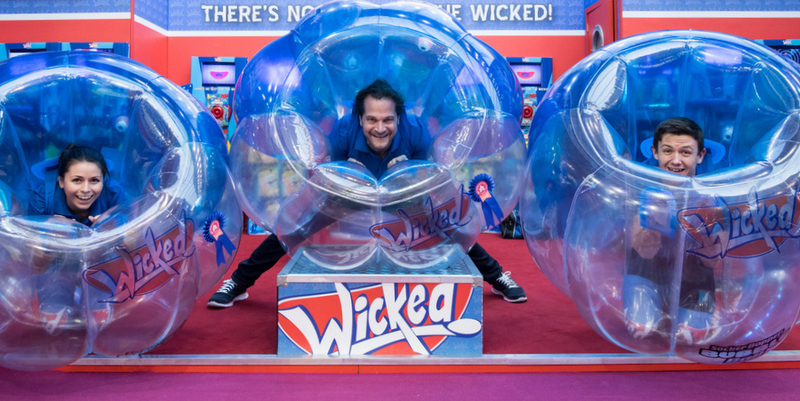 It was no surprise then that, by as early as 10am, Wicked’s stand was packed with TV crews and press photographers wanting to capture the action, with the company’s Socker Bopper Body Bubble Ball having won Best Outdoor Toy in the Toy Fair Awards. Four staff – each wearing an inflated ball 1.2m wide – showed just how much fun you can have bumping into your mates, or just chilling upside down! ITV This Morning’s researcher – briefed to trawl Toy Fair for the latest hot toys – quickly spotted the product’s potential for a live studio feature (with a little nudge from Highlight of course). The result was a hilarious ‘Battle of the Balls’ during Wednesday’s This Morning programme involving Phil Schofield, who created havoc on set with his producer, all the time being egged-on by Holly Willoughby on the sofa! Wicked’s Socker Bopper Bubble Ball was the only product to be featured in the popular daytime TV show’s Toy Fair report. The product also dominated BBC Newsround’s round-up of the show and the Guardian.com’s picture gallery. The Daily Telegraph’s Toy Fair report featured a photo juxtaposing Teletubbies characters with Wicked’s body bubble balls – thereby providing plenty of curvy shapes all round! Child YouTube sensation Tiana from Toys and Me (nearly 4 million subscribers) couldn’t resist having a go in a body bubble ball too….along with the Toy Fair TV presenters, who at the end of a long day hosting the show, caused mayhem in the aisles inside the balls. 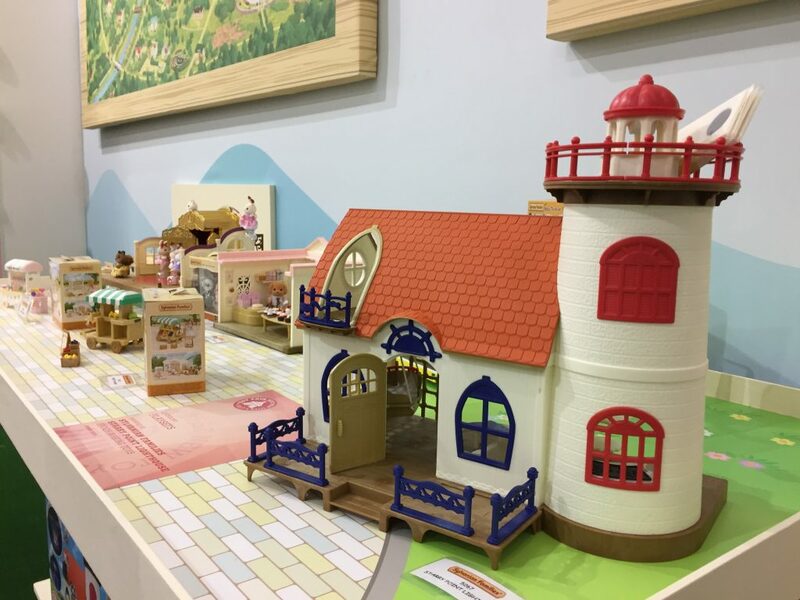 Meanwhile, over on EPOCH making toys’ stand – easy to spot with its giant Sylvanian Families Cosy Cottage – Highlight’s Senior Account Executive Nicole Worboys was briefing press on the company’s new products for 2017. Journalists loved having the chance to test out the main feature of the new Sylvanian Families Starry Point Lighthouse (winner of Best New Toy, Playsets category) by ducking into a darkened room to see toy’s different light displays! The new Ballet theatre was also popular with its revolving characters. EPOCH also showcased its latest innovations with craft brand Aquabeads. Large 3D constructions of the Eiffel Tower and Statue of Liberty were on display to herald this summer’s launch of a new Disney Cars 3 range, in which there will be the first ever 3D Aquabeads product to make. Exciting times ahead. With such terrific toys to launch to UK consumers this year, the next few months at Highlight are going to be pretty busy, with plenty of fun, action-packed days ahead!